The new free school in Rickmansworth choose SBC to install the very latest Panasonic KX-NS700 communications server with IP technology. Who are Reach Free School? 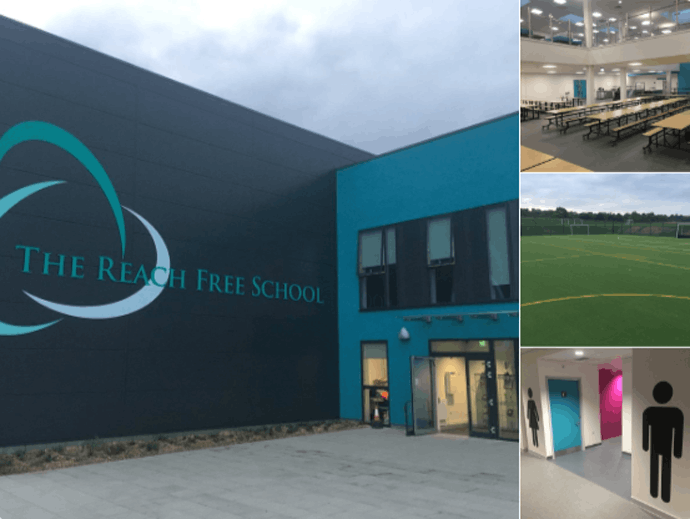 The Reach Free School is a new community-focused secondary school for the Mill End, Maple Cross and Rickmansworth area. Personalised education is at the heart of The Reach Free School. Recognising that each child is an individual with unique strengths and talents. They ensure that every pupil succeeds both academically and socially. You can be assured that Reach Free School will provide all pupils with opportunities to stretch and challenge themselves and ultimately enable them to compete for higher education places and coveted careers. 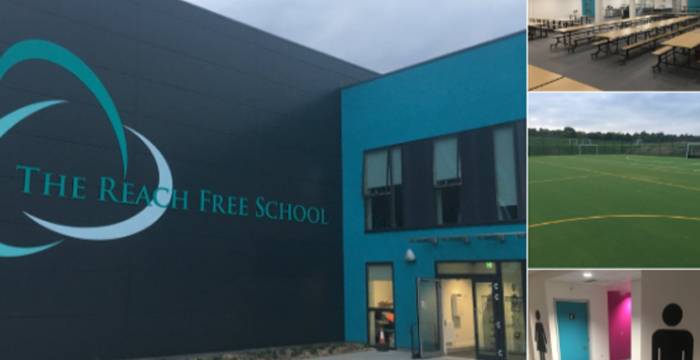 The Reach Free School needed a modern, feature-rich advanced communication system which offers the flexibility and scalability to handle increased demand. Designed perfectly for the education sector, the Panasonic KX-NS700 server provides sufficient capacity with the ability to manage big future growth. 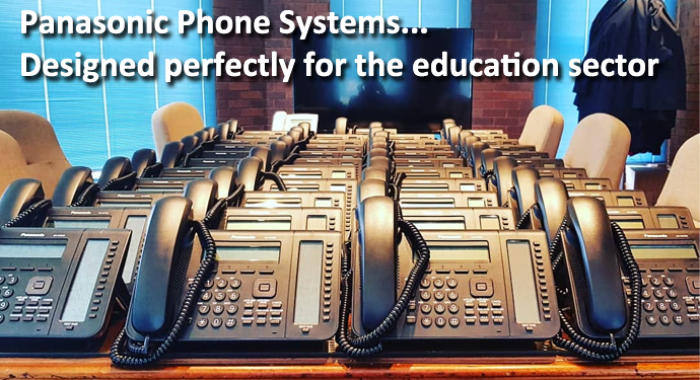 Easy to install and maintain, It was clear that deploying a Panasonic KX-NS700 PBX especially fitting for the education industry would provide the very best solution, making it the ideal alternative to cloud-based solutions. Audio Information gives parents the ability to dial into the school to access useful information such as adverse weather warnings, school closures, school trip notices, exam results and more. An automated interview service gives parents the ability to report their child absent making communication with the school easier for both parents and teachers. Messages are delivered to the relevant absence officer via their Panasonic phone, ensuring all the relevant details are collected. All phones throughout the school have the ability to broadcast announcements instantly to specified phones or a group of phones using the inbuilt speakers to enable hands free communication between all parties. Especially useful in the event of an emergency. Mixed configuration consisting of 42x Panasonic IP phones (model KX-NT553), IP business communication server NS700, 03x Panasonic DSS consoles, 20x Panasonic DECT phones and 12x analogue (SLT) phones. The PBX is connected with 08 channels of ISDN2e currently. 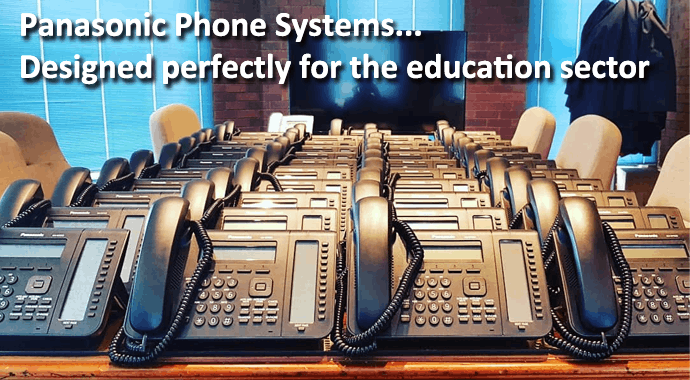 If you’re thinking about deploying a new telephone system for your school – why not get in touch! Have you heard BT is switching off their PSTN & ISDN network in 2025?